A fine example of a late eighteenth century console table in the Egyptian taste. 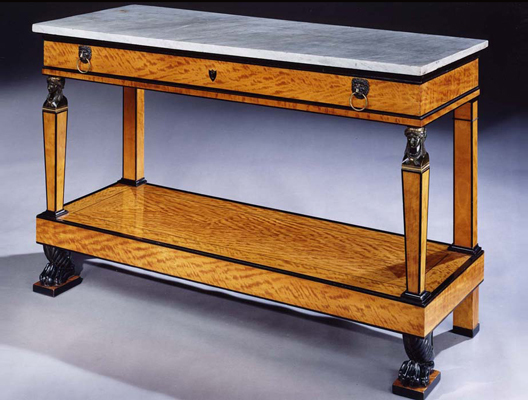 The table being executed in fine figured satinwood and decorated with ormolu mounts, carved wood feet and ebony and ebonised mouldings. Height 35 1/2in (90cm). Width 55in (140cm). Depth 22 1/2in (57cm).